Kulfi and Amyrah both are very happy to saw their parents together. 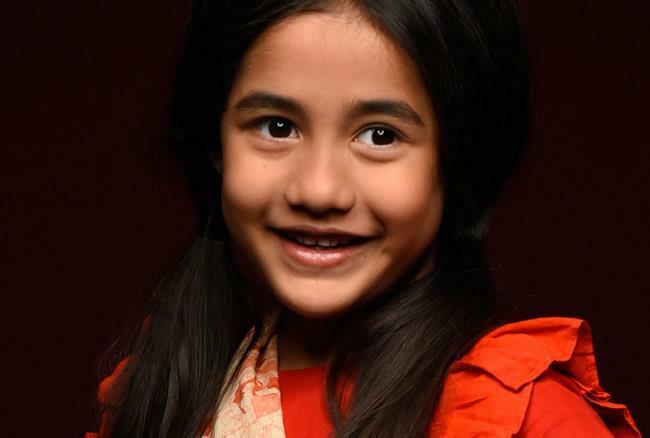 Kulfi Kumar Bajewala is one of the long-running show of Star Plus Channel. So today is 2nd of January 2019, it means a new year came with full of happiness and a full pack of fun. As Kulfi and Amyrah wish for their parents to stay together. The show is most loving all over India. Kulfi Kumar Bajewala serial is at a high turning point. The most loving serial gave high voltage drama to their viewers. 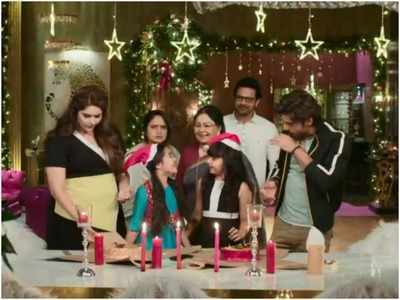 In the latest episode 2nd January 2019, of Kulfi Kumar Bajewala begins with both Kulfi and Amyrah celebrating Christmas with their parents. As we all know that Kulfi and Amyrah are very sad to know about the divorce between their parents. They were trying so many things to stop the divorce between them. She was doing too much hard work and after some time she may get success. After a long time, Kulfi and Amyrah both are happy to see their parents practice together. Later they both saw that Lovely and Sikander discussing the scene and also thinking about their lines. Amyrah and Kulfi get very happy. Sikander and Mahendra offer cake to their mother and to see all this Lovely is happy, and there is a beautiful smile on her face. But Gunjan looks too upset with all this. Gunjan did not like anything, she just hates Amyrah. After this Kulfi watches Amyrha with Sikander and remembers how her mother used to feed her. Kulfi gets very sad because of this. She misses her mother that how her mother feeds him. Lovely observes all this and she follows Kulfi to her room. Lovely asks Kulfi who was she says her mother and after this, she leaves. After Kulfi has left the room, Lovely endeavour an apology from Nimrat and lights up a candle. She confesses how insensitive it is to take a mother away from her child. Kulfi and Amyrah both decided to write down their wish inside a chit and put it in a sock for Santa. The next morning, they are very happy to see that their chits have disappeared. They hug each other and Gunjan comes over. She asks them what are they happy about. Both the girls lie and leave.